1. Set out a building using tape of a room of internal dimension 3m X 3m and wall thickness 30 cm. Write aim, equipments, procedure, diagram and result. 1. Set out a building using tape and cross staff of a room of internal dimension 4m X 3m and wall thickness 40 cm. Write aim, equipments, procedure, diagram and result. 1. 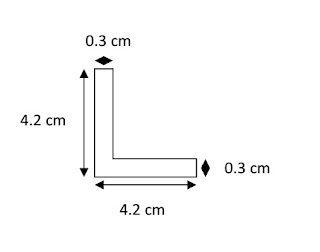 Calculate plinth area and carpet area of given room by taking linear measurements. Draw the rough sketch of the room and write aim, equipments, procedure, calculations, observation table, and result. 2. Write definition of plinth area and carpet area. 1. Compute the area and/or volume of various features of a room of building such as door and window size, number of bricks required to construct a wall of a building, diameter of bars used in windows, wood required for doors and other materials used in construction etc. Write the aim, equipments, procedure, observation tables, calculations, result and diagram. 1. Construct a wall of 1 brick wall English bond of height 500mm (no mortar required) corner portion with length of side walls at least 600mm. Write aim, equipments, procedure, figure, result. 1. Find the area of an irregular polygon set out on the field. Write aim, equipments, procedure, figure, observation table, calculations and result. 1. Find the level difference between two points on the ground using dumpy level. Use height of instrument method. Take reduced level of bench mark as 150m. 1. Compute the moment of inertia of the given I section. Draw the labeled figure and write aim, equipments, procedure, observation table, calculations and result. 2. 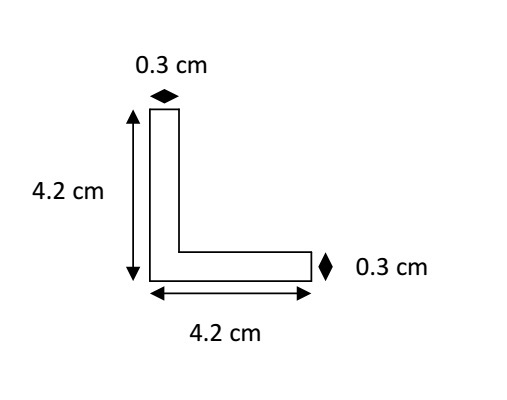 Write procedure to find area of a polygon set out on field. 1. Compute the moment of inertia of the given T section. Draw the labeled figure and write aim, equipments, procedure, observation table, calculations and result. 2. Write procedure to find vertical difference between 2 points using dumpy level. Draw the table used for calculation. Use height of instrument method. 1. Compute the moment of inertia of the given angle section. 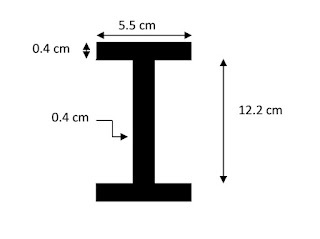 Draw the labeled figure and write aim, equipments, procedure, observation table, calculations and result.